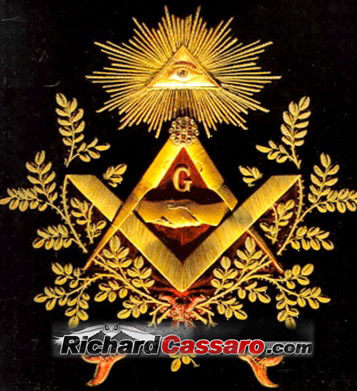 Freemasonry’s Square and Compasses symbol is a mystery to the media, scholars, historians, and even to most Freemasons. No one knows where it came from or what it means. We’ll see how this symbol actually holds an ancient, mystical, and magical meaning that can “illuminate” initiates. capped by the Mind’s Eye (Third Eye) in the Triangle. The square and circle shapes are related in Euclid’s 47th problem of “Squaring The Circle,” said to be the primary goal of the Masonic craft. Squaring the circle, however, does not in this case refer to a mathematical problem: it is a spiritual reference to man’s instinctive quest to harmonize our physical and spiritual natures. Since Antiquity, the square has represented the physical body. The circle, on the other hand, has always represented the soul. The Square & Compasses thus symbolize Man’s state as an eternal soul manifesting in a temporary body. The circle is our spiritual side that cannot be seen, heard, touched, tasted, or smelled. It is our true, inner, and perfect Self, the part we feel when we close our eyes and think “me”. Four represents the imperfect, physical body, as well as earthly desires and carnal appetites that “weigh” the body down. Human life is vulnerable and temporary, in stark contrast with the invulnerable and permanent soul. Above: William Rimmer, Evening, Fall of Day (1869). 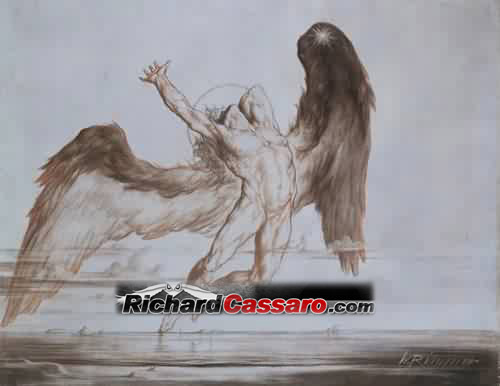 This is an esoteric portrait that depicts the history of what has happened to each one of us when the “god within” or “soul within” Incarnated as Man. We are fallen angels, sparks of the divine now experiencing the material world, as William Rimmer’s wonderfully esoteric portrait “Evening, Fall of Day” illustrates. The body cannot endure forever, and will eventually be destroyed by death, at which point the soul is free again. The soul, though trapped in the human body as we are today, is far from powerless. Because it is eternal, the soul comes complete with its own inherent powers—powers that can be rediscovered and exercised right here in the material world. Though in a “fallen state” the soul never lost these powers; they have merely been “covered up” by the body, rendering them unrecognizable. Above: Leonardo da Vinci’s world-renowned Vitruvian Man (1487). 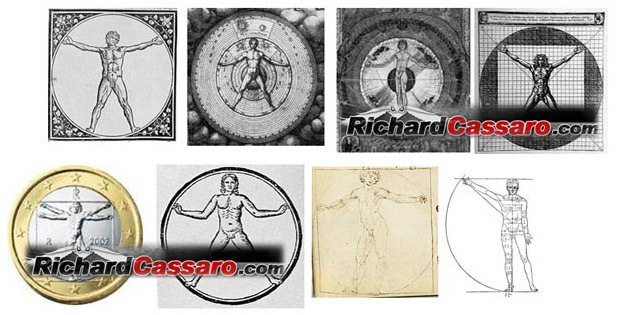 Note how da Vinci draws The Vitrivian Man inside a squared circle: he understood the implications of the Masonic doctrine. The Vitruvian Man lives in a perfect state of balance, enjoying a well-intentioned life, esoteric, stable, kind, capable and abundant. The circle is his eternal soul. The square is his temporary body. He knows this; he is illuminated into its gnosis. The great Freemasons of past eras were Vitruvian Men, including Washington and Franklin. 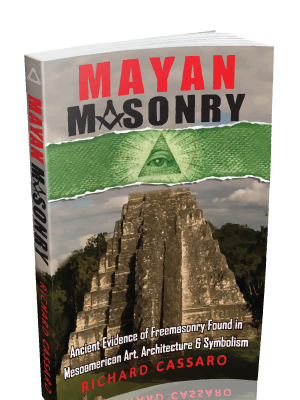 This is because they understood Freemasonry, unlike the modern Freemasons who have lost the depth and symbolism of their tradition. 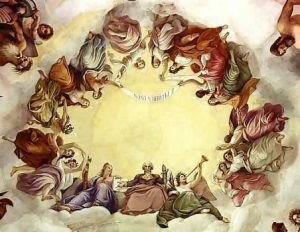 Above: The Apotheosis of Washington is a masterful piece of artwork that appears inside the dome of the U.S. Capitol in Washington D.C. This apotheosis is not “man becoming a god” or “Washington becoming a god.” That’s a critical misinterpretation. It’s more like “man realizing he is a god already”, a soul manifesting as a body—or, in symbolic terms, a circle surrounded by a square. 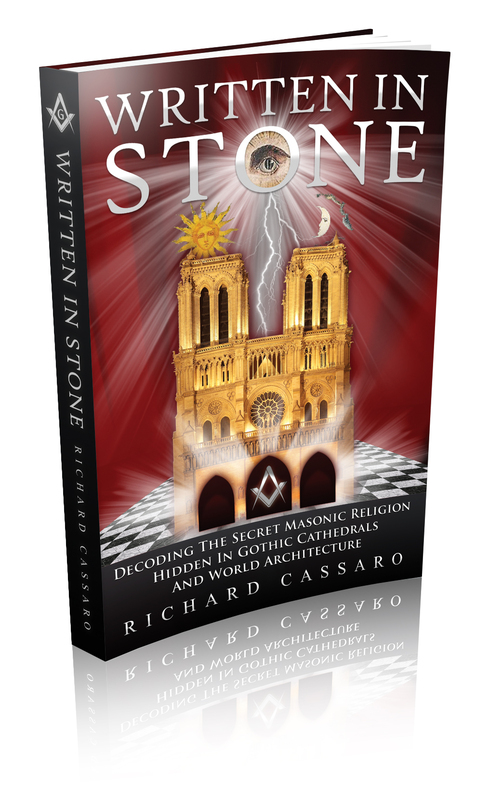 This “heretical thinking” of Freemasonry is much different than mainstream Christianity; which is why the Freemasons have historically been a Secret Society. 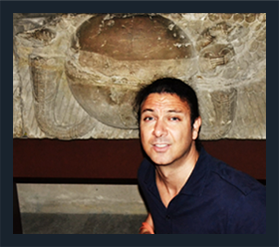 Left: Egypt’s Aten glyph is formed by a circle with a dot in the center. Right: China’s ancient Yin Yang symbol is a circle with twin fish symbols inside. The Tai Chi is the eternal Self. The Self sprouts “pairs of opposites” during manifestation—the twin fish symbols inside, one black the other white. The Egyptian Aten is the eternal Self also. It was often drawn as a winged disk (see below) sprouting twin serpents and wings. Above: Egypt’s “winged sun-disk” (Aten) by Secret Societies like the Freemasons, Spiritists, Theosophists, and Rosicrucians. 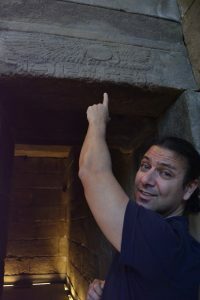 “For the Egyptians, the meaning of life was to recognize that we are not the physical body that incarnates in world of matter, but the still, silent soul “point” within the body that predates the body and that survives the body’s death. This idea is conveyed in the Gothic cathedral facade—the rose window in the center, which symbolizes the perfect circular “soul within” us. Above: Detail of the Gothic facade of the Orvieto Cathedral, the rose window. 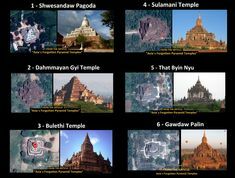 Masonic buildings are sacred structures of initiation, encoded with intricate patterns and artwork that speak to squaring the circle; they are heavily laden with a language of symbolism that modern scholars have yet to decode. It’s not just the Gothic cathedrals. In all Masonic buildings we see the interplay of squares and circles. This is a constant Masonic geometric theme, the spiritual / divine light (our soul) manifesting in the physical / material world (our body). 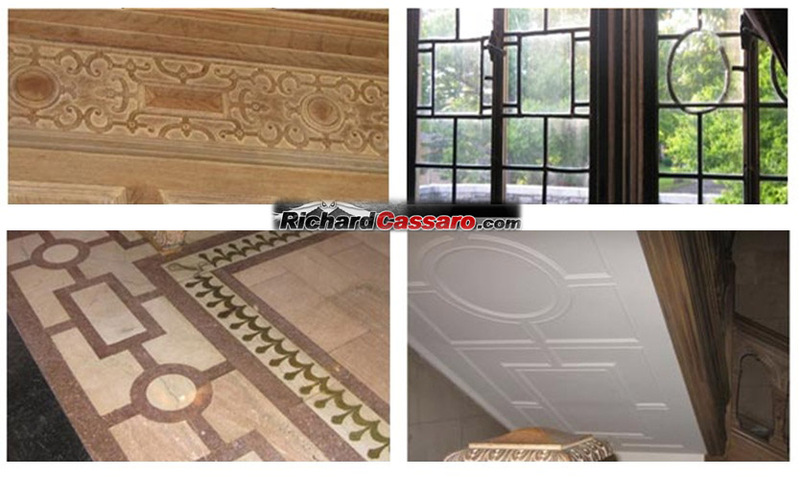 Above: These pictures showing Masonic square and circle symbols interlaced were taken inside of Reid Hall, a Masonic-built castle which was constructed in 1864 and is now home to Manhattanville College in Purchase, NY. This article, then, has laid bare the lost secret of Freemasonry: It is that man is both a Square (body) and Compass (soul). 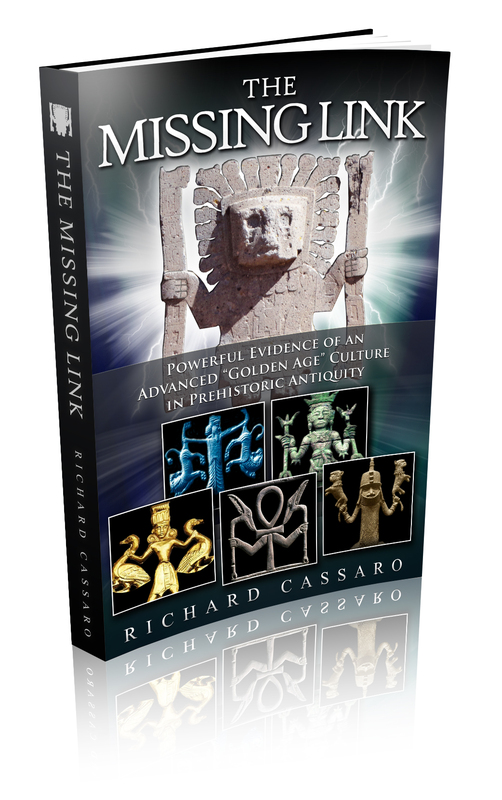 This secret, once a common doctrine in the ancient pagan cultures, had to be hidden away and kept secret from the Holy Inquisition for fear of reprisal. Its wisdom teaches the forbidden doctrine that each of us deep down is a “god” encased in matter, a soul inside a body. We can clearly see our body; but the Compass teaches us about the part we can’t see, the soul. This is the whole idea of initiation into a lost sacred wisdom.